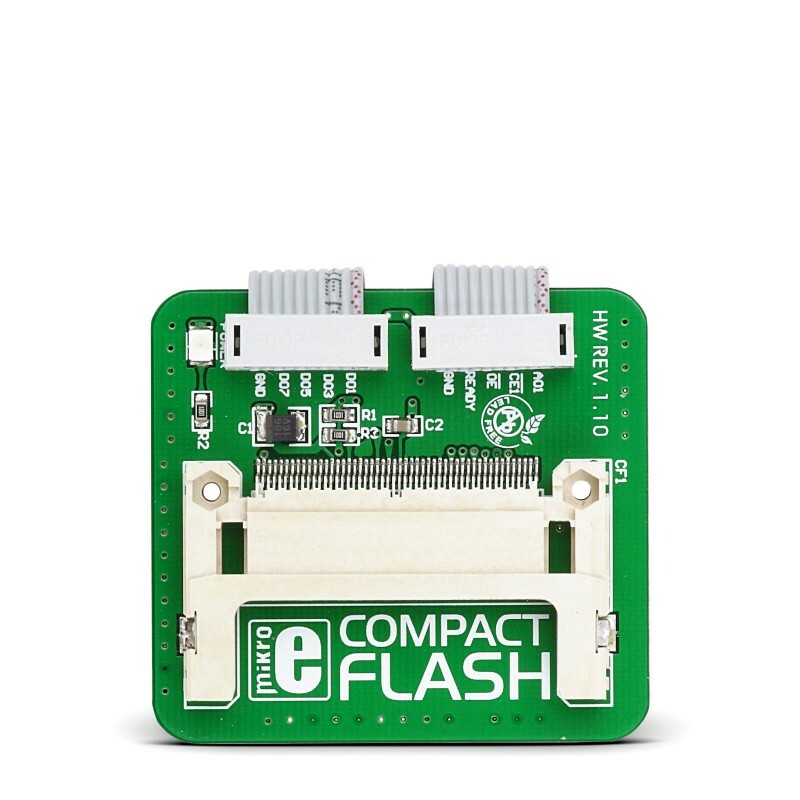 Compact Flash Board development board supports CompactFlash® Cards - small, removable mass storage devices. It provides a complete PCMCIA-ATA functionality and compatibility. 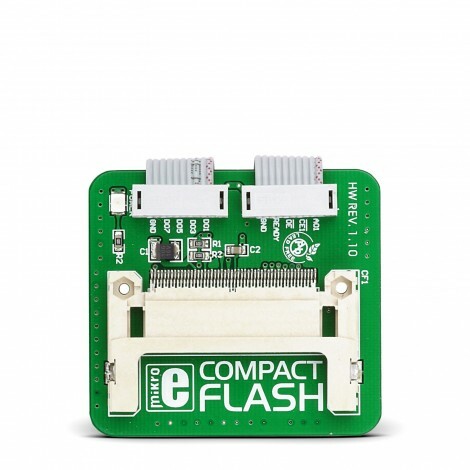 Compact Flash Board development board supports CompactFlash® Cards - small, removable mass storage devices. It provides a complete PCMCIA-ATA functionality and compatibility. Many leading consumer electronics companies, including the CFA's members, have designed CF technology next-generation products for consumer market. CF technology offers all of these applications a new and expanded functionality while enabling smaller and lighter designs.